Woodrow Wilson Center Press, 9781421408095, 552pp. 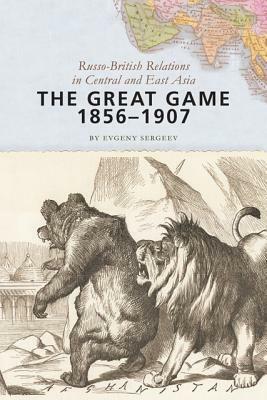 The Great Game, 1856-1907 presents a new view of the British-Russian competition for dominance in Central Asia in the second half of the nineteenth century. Evgeny Sergeev offers a complex and novel point of view by synthesizing official collections of documents, parliamentary papers, political pamphlets, memoirs, contemporary journalism, and guidebooks from unpublished and less studied primary sources in Russian, British, Indian, Georgian, Uzbek, and Turkmen archives. His efforts amplify our knowledge of Russia by considering the important influences of local Asian powers. Ultimately, this book disputes the characterization of the Great Game as a proto-Cold War between East and West. By relating it to other regional actors, Sergeev creates a more accurate view of the game's impact on later wars and on the shape of post-World War I Asia. Evgeny Sergeev is a professor of history and head of the Twentieth Century: Socio-Political and Economic Problems Center at the Russian Academy of Sciences Institute of World History. He is author of Russian Military Intelligence in the War with Japan, 1904-05: Secret Operations on Land and at Sea. He was a short-term scholar at the Wilson Center's Kennan Institute in 2006.